The OU Daily was honored this week as a winner of the Columbia Scholastic Press Association’s Silver Crown for hybrid news at the 2018 College Media Convention in New York. In work from the 2016-17 academic year, during which Dana Branham was editor-in-chief, The Daily was one of nine publications honored with the silver crown in its category. 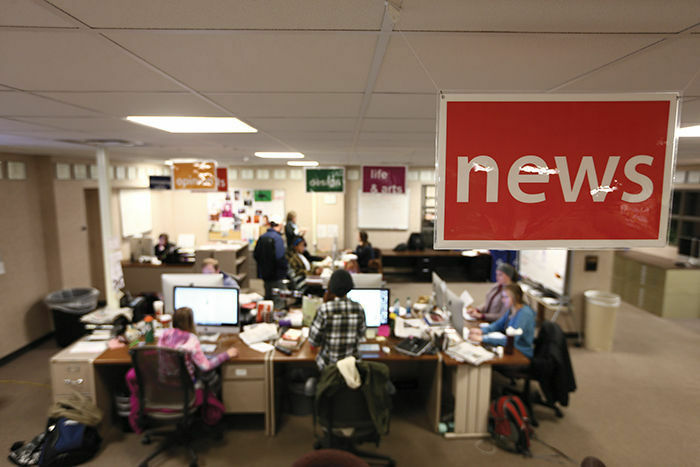 Just two publications — The Indiana Daily Student and the Iowa State Daily — won gold in the category. Publications in this contest are judged on their overall excellence as shown by design, photography, concept, coverage and writing. Read the full list of winners at the CSPA site. In October, The Daily took two other leading honors, being named the 2016-17 Pinnacle award winner for Best College News Outlet as well as a winner of the ACP Newspaper Pacemaker.